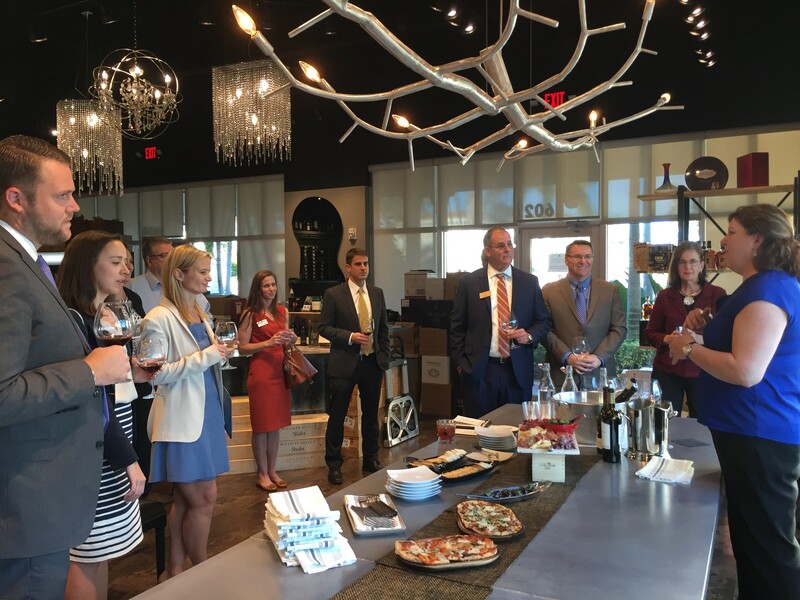 The Naples Trust Company team recently hosted the team from Quarles & Brady LLP at The Wine Collection – a Naples specialty wine and fine spirits store in The Galleria at Vanderbilt. The colleagues joined together to enjoy an evening of networking before season moved into full swing. They also took in the latest trends in wine delivered by Kimberley Martin, wine expert for the store and a talented story teller of how these wines came to be. Four fine wines were featured and paired with delicious hors d’oeuvres from The Cave – the store’s adjacent restaurant patterned after the wine caves of France.